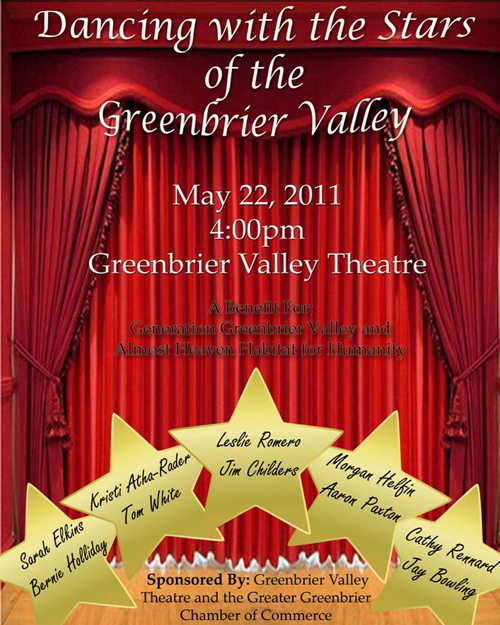 Dancing with the Stars of the Greenbrier Valley - Reserve your tickets before they are sold out! Tickets are on Sale Now ! 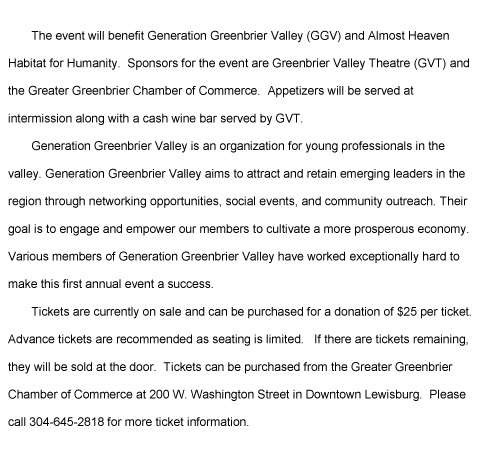 Tickets can be purchased at the Chamber Office this week. 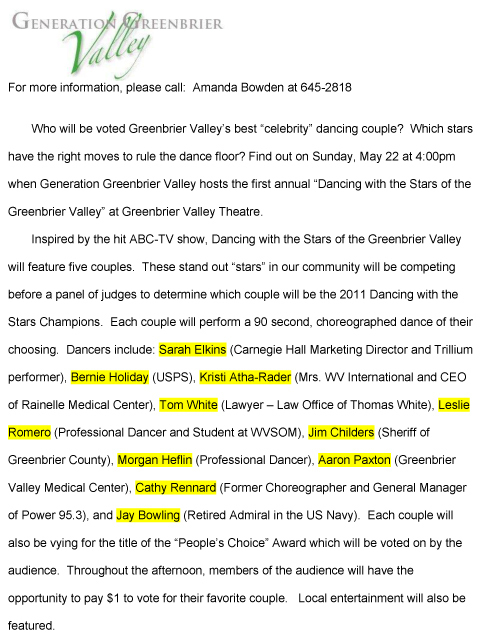 See who will win the title of Dancing with the Stars Champions for 2011! Members of the audience will get to decide who will win the audience voted – People’s Choice Award! Call 304-645-2818 if you have any questions!